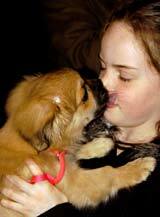 provide financial assistance to Tibetan Spaniel owners who incur veterinary expenses related to health research. The Trust will consider data generated from periodic surveys when funding health research and studies. The Trust will consider each request for funds on a case-by-case basis. To qualify for reimbursement the Trust must pre-approve all expenditures for veterinary expenses related to health research and studies in advance of the procedures. Examples are DNA tests and blood work for PRA or liver shunt. Submit requests to the Trust Treasurer. Health surveys will be conducted on a periodic basis, as determined by the Trustees, but no less than every 10 years. Tibetan Spaniel Health Survey – This ongoing, online survey created by the TSCA Health Committee covers all health issues, head to tail. Owners submit an anonymous questionnaire for each Tibetan Spaniel they have owned, living or deceased. The results are compiled and available instantaneously on the site.